Weddings aren’t easy. We all know this. Tippling Aunt Betty might overindulge and make an uncomfortably revealing toast; the DJ could be a Burt Bacharach fan; the ring-bearer may break down in tears before he gets to the altar. But at least if you get married in one of these 10 unusual settings, the ceremony itself—not the awkward moments before or after—will leave the most lasting impression. Because nothing says “lifetime of happiness” like a nacho-cheese chalupa. When hipster groom Paul Brooks of Normal, IL, suggested a Taco Bell wedding to his Australian girlfriend, Caragh Brooks, in January 2009, he meant it as a joke. But she said yes. 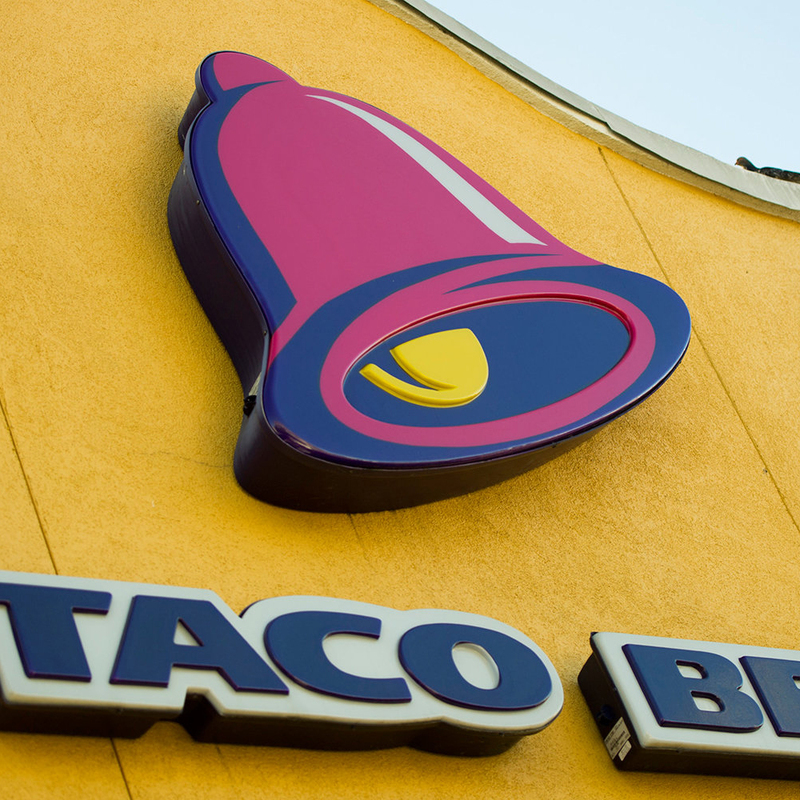 During the dining-room ceremony, for which employees displayed hot-sauce packages reading “Will You Marry Me?,” the duo wore dark purple (him) and hot pink (her)—Taco Bell’s official colors. Weddings are free, but that nacho-cheese chalupa supreme will cost you $3.04. Prepare yourself for the ups and downs of married life. 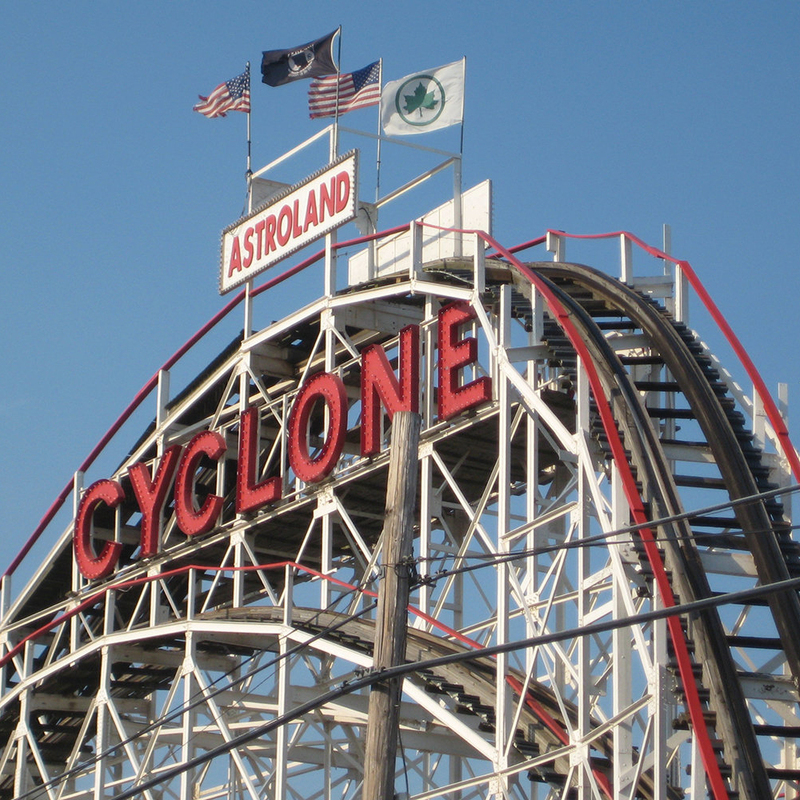 New York’s Coney Island is beloved for its foot-long hot dogs, two-and-a-half-mile boardwalk, and 83-year-old wooden Cyclone, one of the world’s most famous roller coasters. Each year, a handful of nostalgic New Yorkers and/or coaster enthusiasts get hitched on this scream-inducing, knee-knocking ride. Marriages here are distinctly DIY, but usually the ceremony is conducted at the boarding platform, with the wedding party crammed into the 12 tiny cars, followed by the newlyweds’ first spin on the Cyclone. Afterward, revelers feast on funnel cakes. $10 ticket to ride, per attendee. If Taco Bell is already booked. Since 2003, Oregonians have lined up around the block to get into downtown Portland’s funky Voodoo Doughnut, where toppings include Cap’n Crunch cereal, maple-glazed bacon, and Tang. The shop’s weddings are equally unconventional. Choose a nonbinding commitment ceremony (one of which once involved two cats getting “meowied”) or the Whole Shebang, which includes an in-house Universal Life minister (no, not a voodoo priest), coffee and doughnuts, round-trip airfare, and hotel. Who needs cake when you can offer guests six-month-old Easter candy? 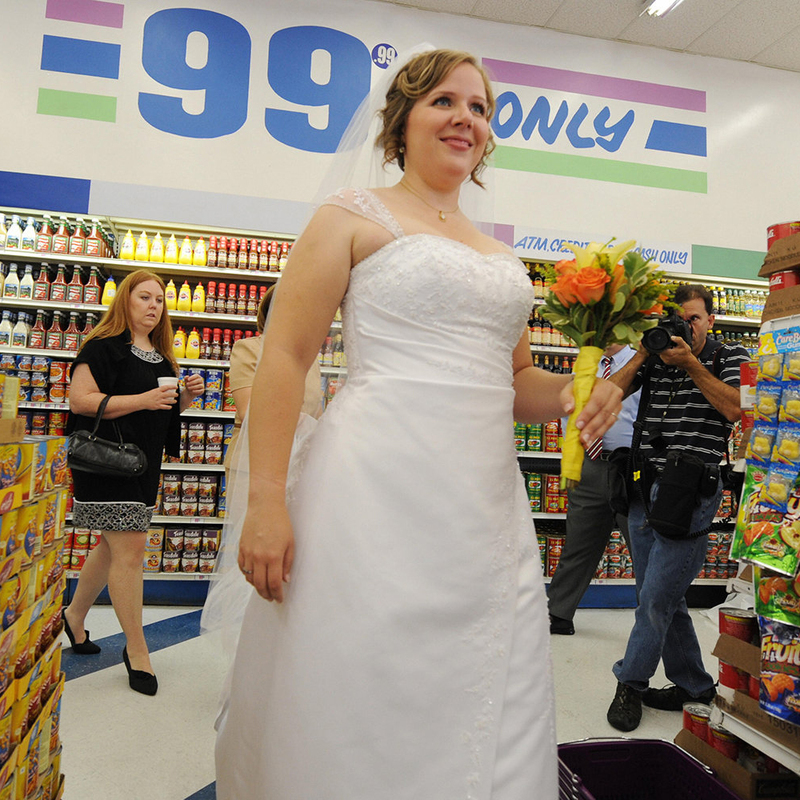 It was September 9th, 2009, and to celebrate the numeric kismet of the date (9/9/09), the owners of the Los Angeles–based 99 Cents Only Stores went all out: nine lucky engaged couples—picked at random from 2,999 applicants—got married in quick succession from 8:09 a.m. to 9:09 a.m., in aisle 9 of the Hollywood branch. A crafty local designer who calls herself the Discount Store Diva used the store’s inventory (think doilies, disposable cutlery, and plastic flowers) to decorate the space and create the brides’ white dresses, which she declared to be “Chanel-inspired.” And, if any of these marriages doesn’t work out, the dollar-store weddings come with a receipt for returns. You’ll literally be floating on air on your Big Day. 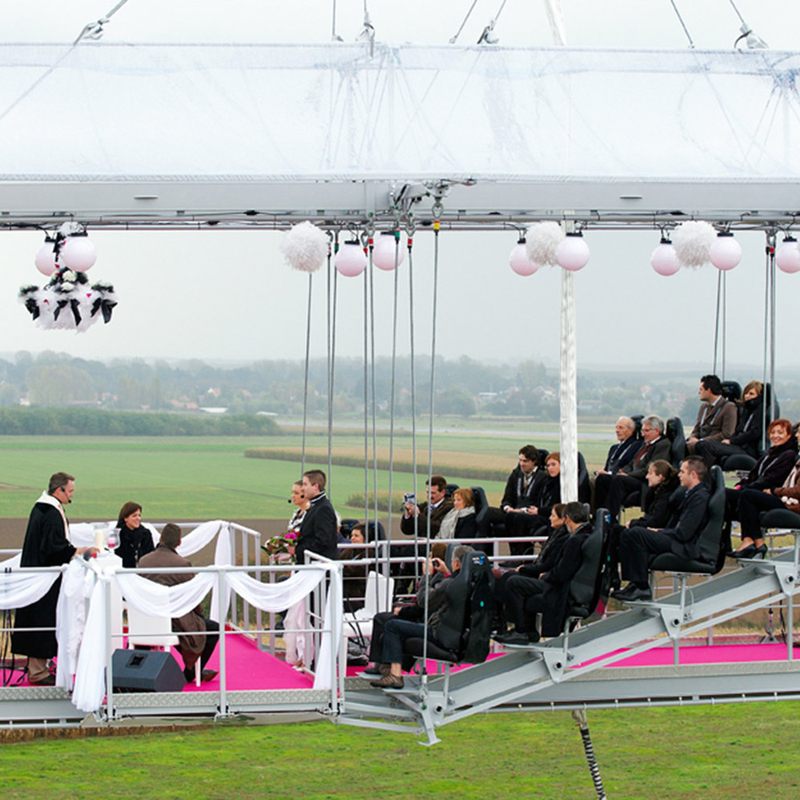 Forget the church: Marriage in the Sky offers a 20-seat, 42’-by-25’ platform hoisted 164 feet into the air. This marriage mobile can anchor wherever there’s 5,000 square feet of secure surface area, so the sky’s the limit for location (think the Grand Canyon, a Venetian canal, or above the Sahara Desert), as long as your preferred landscape sits in one of 45 countries where the company has an operating license. Afterward, many couples decide, quite literally, to take the plunge—with a bungee jump off the platform. Once you’ve faced off with a man-eating fish, the mother-in-law is nothing. 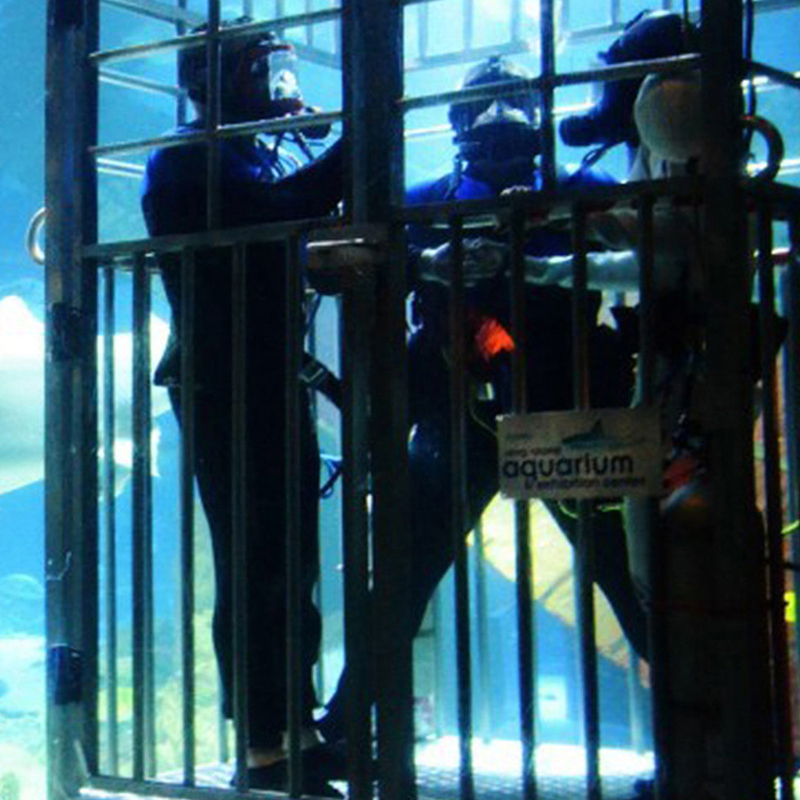 The Long Island Aquarium in Riverhead, Long Island, is a common spot for local weddings—but it takes an uncommon couple to opt for the aquarium’s 120,000-gallon shark tank. On June 6,2010, that’s what April Pignataro and Michael Curry, from New York City, did. Wearing helmets that enabled underwater breathing and communication, and decked out in custom-created wet suits (white for her; black for him), the expert-certified divers enclosed themselves in a steel cage and were lowered into the water occupied by 10 skulking (but unaggressive) sand tiger and nurse sharks. A minister on terra firma administered the vows via transmitter radio. Offset costs by seeking Penzoil sponsorship—white dresses offer up lots of possible advertising space. You don’t have to be Dale Earnhardt Jr. to find love in the fast lane. 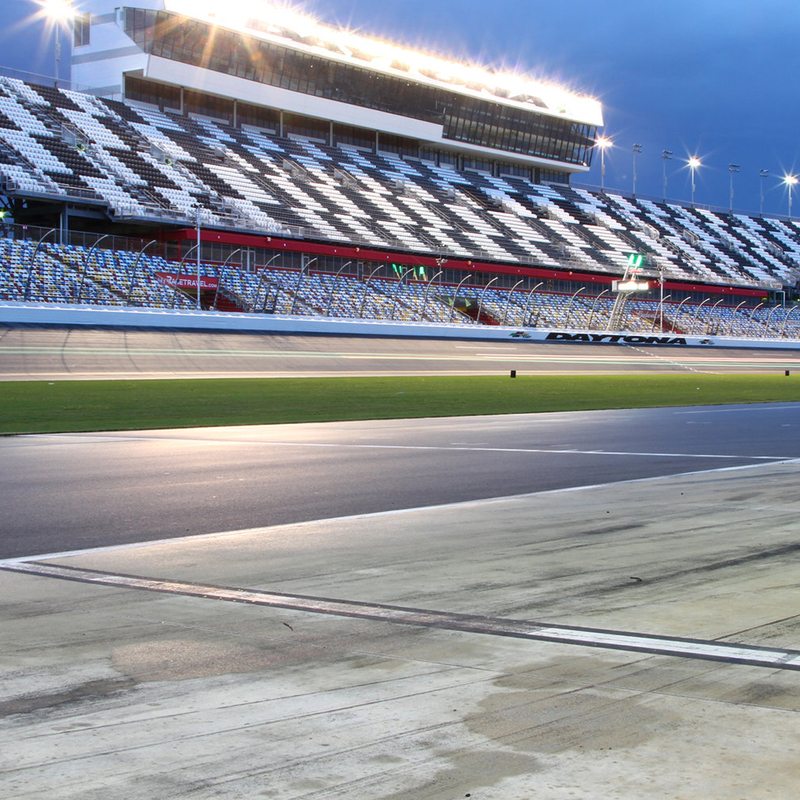 On Valentine’s Day in 2009, 31 NASCAR-loving couples said “I do” at the Daytona International Speedway; thousands of fans, friends, and family looked on from the stands. One pair, Bryan Willey and Stacee Kennedy, even exchanged rings NASCAR-style: with tattoos. $3,250 to rent the track's Victory Lane and a small reception room. It’s easier to ignore cold feet when your whole body is numb. 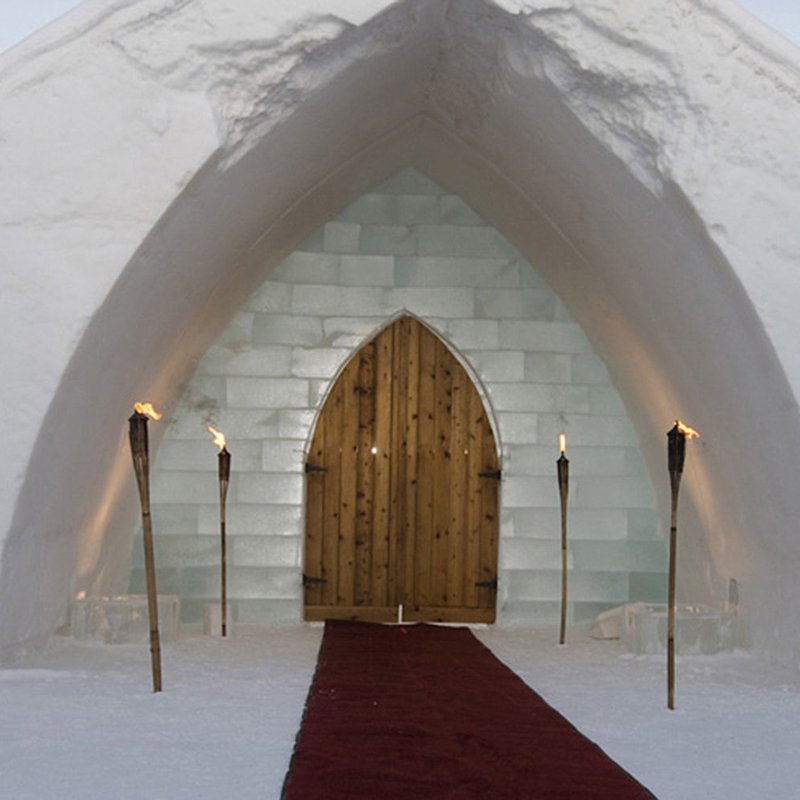 In the chapel at Quebec’s Hôtel de Glace, where temperatures hover around 25 degrees and there’s iced champagne, two ice glasses, and, for your guests, ice benches draped in animal skins. The allure of marrying in a sparkling crystalline palace is clear (pun intended! ), but what’s a shivering bride to wear? Just ask designer Corinne Markey, whose Marie-Ange Collection—created just for Hôtel de Glace brides—features floor-length gowns with fuzzy lining, fur-trimmed hoods, and thick white capes. Save thousands by skipping the whole wedding-dress thing. Nudist notary Carolyn Hawkins performs about 10 clothing-optional weddings each year in Florida alone—and, she says, they’re becoming more popular. At Cypress Cove Nudist Resort & Spa, in Kissimmee, FL, brides and grooms wearing only their birthday suits tie the knot under a decorated arch on the shore of scenic Lake Toho. Afterward, folks retire to Cheeks Bar and Grill for au naturel dining and dancing. Free for Cypress Cove members (annual membership from $119).